I am Jennifer Bourne. I live in Christchurch, on the west where I don't need to get a wheel alignment after every trip I take. I have just completed my BtchLn (primary) through Canterbury University and decided to continue my training and begin some postgraduate courses. Whilst I am studying full time this semester I will also be doing some relieving work at the school where my oldest son Jayden (9) attends as well as looking after my other two children Hazel (19m) and Marcus (5m). I have never had a blog before and other then using one on placements or reading a few friends blogs I have had very little experience with them so I would like to familiarise myself with the ins and outs of having and maintaining a blog, also gaining experience to enable me to use the skills developed to have and effectively use a blog within the classroom. I am currently on a spare computer (which is really, really slow) as mine is in getting fixed and due to this I had problems opening up links that gave information on how to do things. But I got there in the end. Overall the instructions were easy to understand making it easy to create a blog and customise it. Due to the problems I had opening the help links I went searching through blogger and came across their help instructions which were just as easy to follow as the ones on learn. I think if I was to set up a blog again I would read the instructions before attempting as it wasted a lot of unnecessary time. I am looking forward to becoming a regular blogger and feeling comfortable enough to use the blog to its full potential. I think the video I have included is quite amazing. I also love to use quotes, I find them very inspirational. 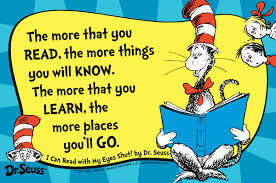 the more places you will GO." As a first time blogger you've done exceptionally well particularly remembering to add your EDEM630 label which is used for harvesting the feed. Well done! You've also demonstrated the power of the Internet to find what you need to assist with your learning when the internal links aren't working. Welcome aboard! Hi Jen. I think the hardest thing to come to terms with when writing a blog is that you are exposing yourself to the opinion of others. And, as we know, people do not demonstrate the same filtering and restraint that they might in person. Remember to take what you like and leave the rest when it comes to comments. Great start.